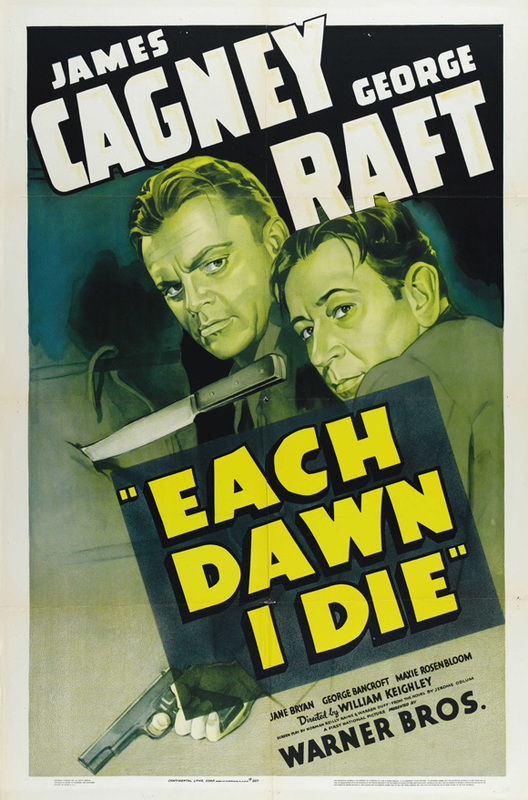 It is Cagney versus Raft in the classic 1939 Warners prison drama EACH DAWN I DIE. Directed by William Keighley, Cagney is Frank Ross an investigative reporter who exposes a political candidate’s corrupt association with a construction company. After the article is published, Ross is snatched by some goons right in front of the newspaper building, knocked out, and soused with alcohol he is sent away in a speeding car which results in a car accident with three innocent people being killed. Framed for the murders, Ross is sent to prison where he meets big shot Stacey (George Raft). 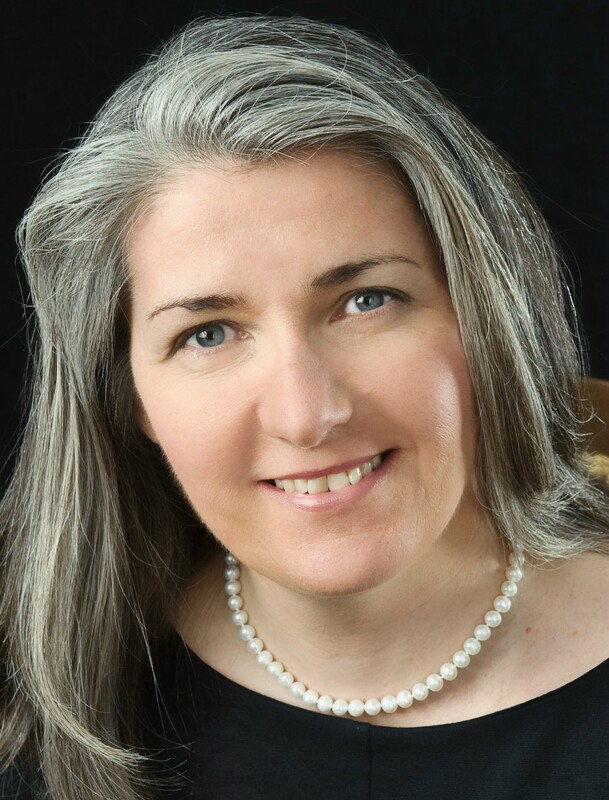 At first, they get off on the wrong foot with Ross continuing to claim he was framed and innocent, all falling on deaf ears with both prison officials and his fellow inmates. The two soon become pals when Ross saves Stacey’s life from an attempt by another prisoner to kill him. The film has all the by now standard prison themes you expect, the innocent man who was framed, the prisoner who is a snitch, the sadistic guard, the prison system that turns a good man bad, the prison break and the riot. It’s all there but what is most exciting is Cagney! Brash, cocky and full of himself, grinning confidently just the way we like him. Here he gets to face off against George Raft, who by the way hooked up with some real gangsters in his off-screen life, and is even better known for giving Humphrey Bogart some of the best roles of his career when he turned down “Casablanca” and “High Sierra.” Raft is fine as Stacey but the film belongs to Cagney who goes through an entire array of emotions from a wronged innocent to a crazed bitter jail-bird locked up in solitary. The cast also includes George Bancroft as the Warden, Victor Jory as a corrupt member of the parole board, Jane Bryant as Cagney’s loyal girlfriend fighting for his release and former boxer Slapsie Maxie Rosenbloom. 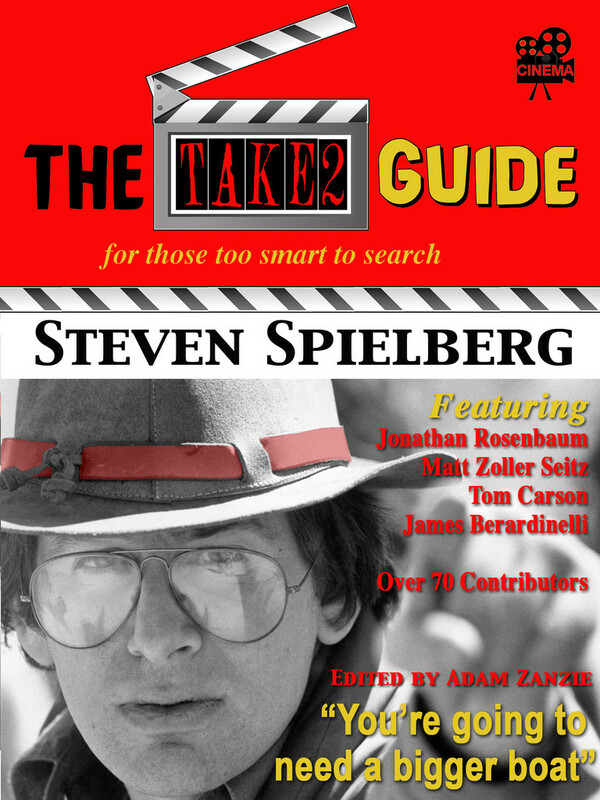 This is the kind of film you expect from Warner Brothers, hard-hitting, socially conscience and gritty. This entry was posted in 1930's, Film Reviews, James Cagney, Short Takes and tagged Each Dawn I Die, George Brent, George Raft, James Cagney, Jane Bryant, Victor Jory, William Keighley. Cliches are there Dave but so is Cagney who rises above it all. A fun watch! Aye, John, it’s most definitely cliche-ridden and conventional, but Cagney fuels it with incompable energy while he was at the height of his powers. 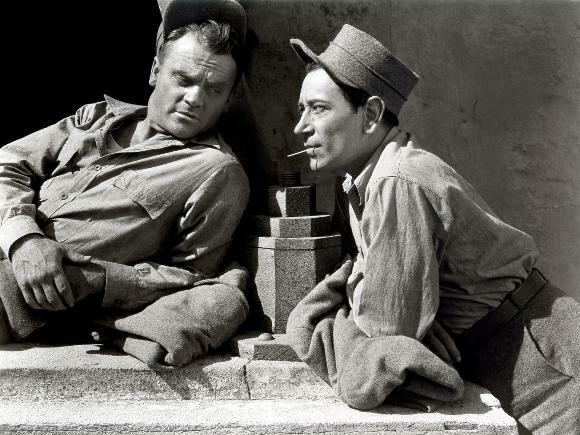 WHITE HEAT is really the quintessential Cagney prison movie though. As you note, this was a typical entry in classic Warner Brothers style, and George Raft is more than memorable. Very fine capsule assessment, which doesn’t really need anything further, and the three-and-a-half of five rating is precisely where I would go with it. Thank Sam, Yes, WHITE HEAT is surely THE Cagney prison movie with that scene where he goes berserk. EACH DAWN I DIE is one of the Sunday afternoon movies channel 5 use to show all the time back when I was a kid. 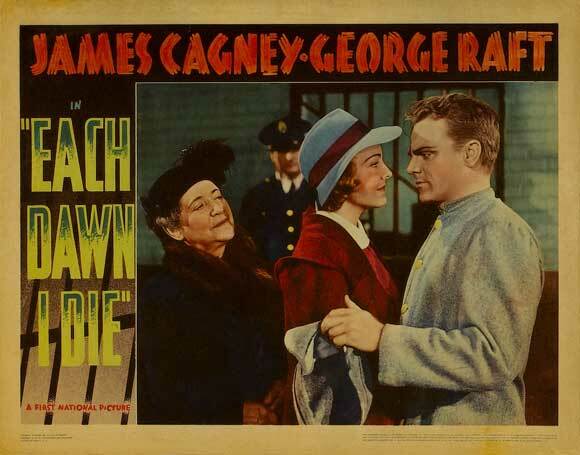 As a fan of these gritty Warner films I love ‘Each Dawn I Die’ and think it is an astonishing performance by Cagney, with scenes like the one where he breaks down begging to be released – and the people he is pleading with include the ones who framed him in the first place. However, having said that, I’d agree ‘White Heat’ is his best prison movie and goes far beyond even this. I agree Judy, Cagney is always a pleasure. This week I watched about four Warner’s flick from this period, three with Cagney and one with Robinson subsequently a few othe short reviews will be coming up in the next week or so. Thanks again!! !